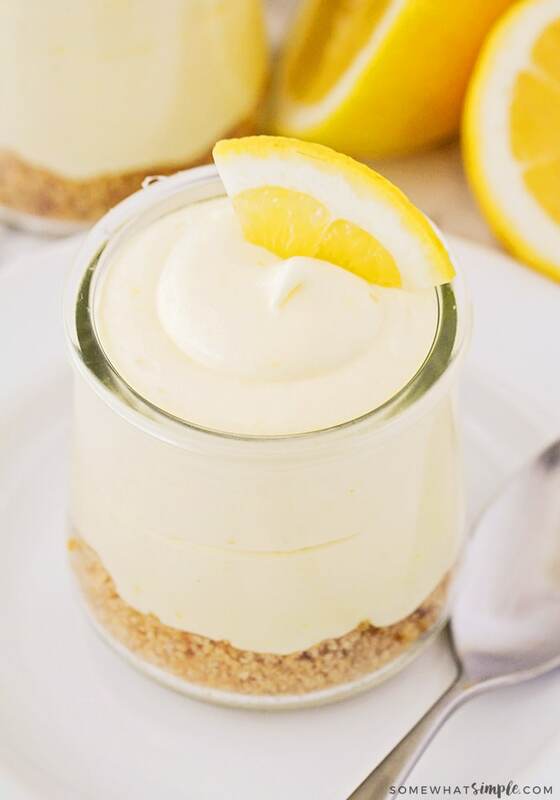 This sweet lemon cheesecake mousse is a decadent dessert that is so easy to make! 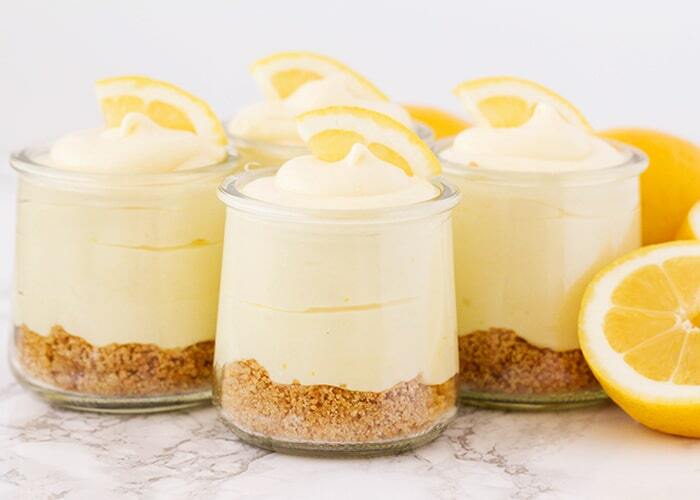 Made with fresh lemon curd and resting on a bed of graham crackers, these cheesecake mousse cups are a refreshing treat to enjoy all summer long. I have such a sweet tooth but I don’t like spending all day in the kitchen, which is why I love this cheesecake mousse recipe so much. Some of my other favorite easy dessert recipes are these simple Cake Mix Cookies, fudgy Homemade Brownies or these incredible Strawberry Cream Cheese Cake. I have to say, I am totally in love with lemon desserts. If it has lemon flavor in it, then sign me up! Lemon is so perfect for spring, and I love the bright and fresh flavor. 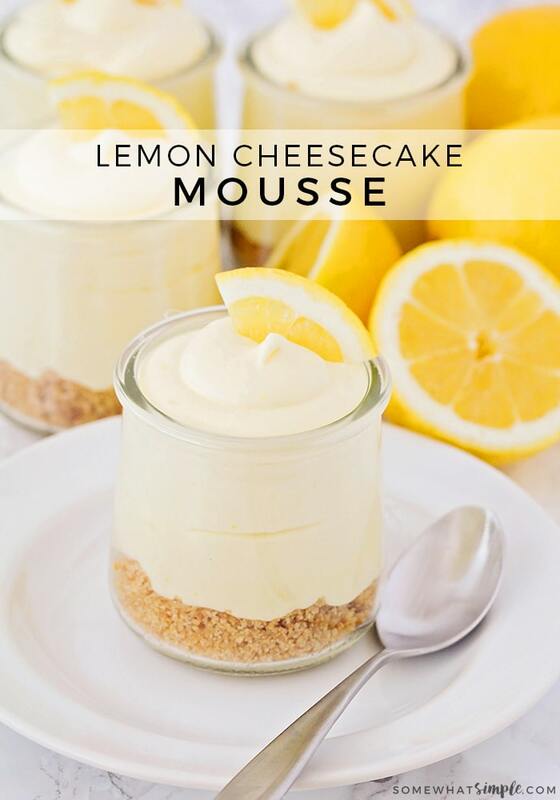 This lemon cheesecake mousse is the perfect way to showcase that lovely lemon flavor. It’s rich and decadent, but also silky smooth and light. 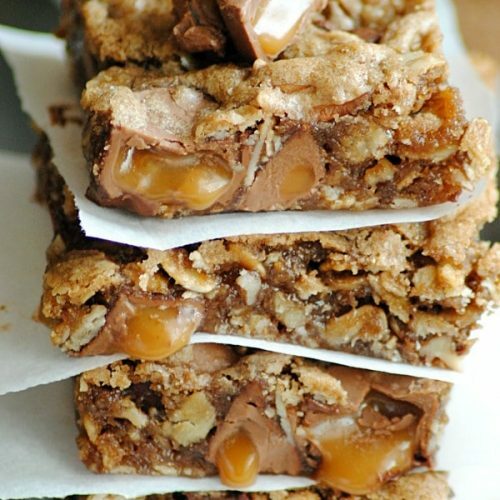 Paired with the buttery and crumbly graham cracker crust, it’s a delicious dessert that’s sure to impress! I used homemade lemon curd for my mousse, but store bought will work as well. If you haven’t made your own before, it’s so much easier than you think! The lemon curd gives the mousse a ton of flavor, and a beautiful bright yellow color. If your lemons aren’t particularly yellow, you can add a drop or two of yellow food coloring to bump up the color a little bit, but it’s totally optional. 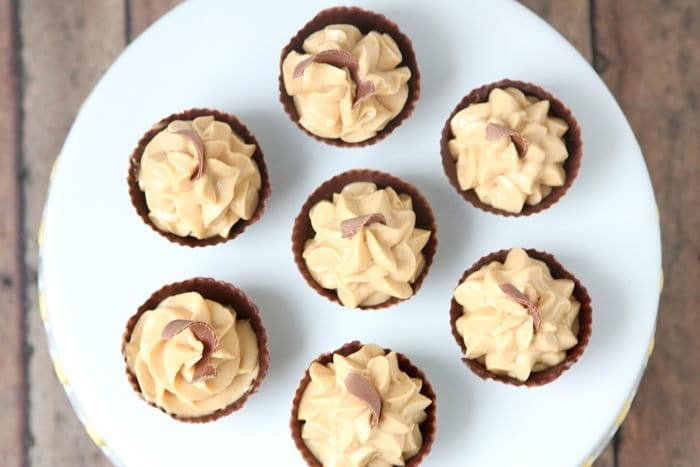 You could definitely serve these mousse cups with a little extra whipped cream on top, but they are pretty delicious as is! Mousse is a lighter and airier dessert than pudding is, which is much more dense and creamier. While they are both made with similar ingredients mousse is thickened using heavy cream or egg whites while pudding uses cornstarch to thicken. With pudding, many love to add toppings such as nuts or fruit on top while mousse is typically enjoyed all by itself. Though there are key differences to each, they both taste incredible! 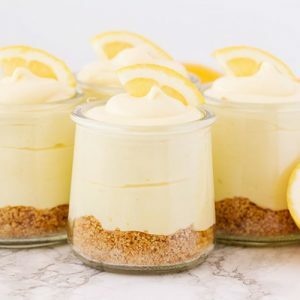 This sweet lemon cheesecake mousse is a decadent dessert that is so easy to make! In a large bowl or the bowl of a stand mixer, beat the whipping cream until stiff. Remove to a different bowl, and set aside. In the mixer bowl, beat the lemon curd and cream cheese together until smooth. Add the powdered sugar, vanilla, and food coloring, and mix until smooth. Gently fold in the whipped cream using a spatula, until blended. To make the crust, mix the graham crackers, sugar, and butter. Scoop the crust mixture into six small serving dishes, then top with the mousse. Yum! This looks so refreshing and delicious! I loved it! And I’d love to make it again for Valentine’s Day! So creamy and a perfect blend of sweet and tart! Thanks Erin, I’m so happy you loved them! I am so excited to make this! I love any type of lemon dessert! I’m totally with you. 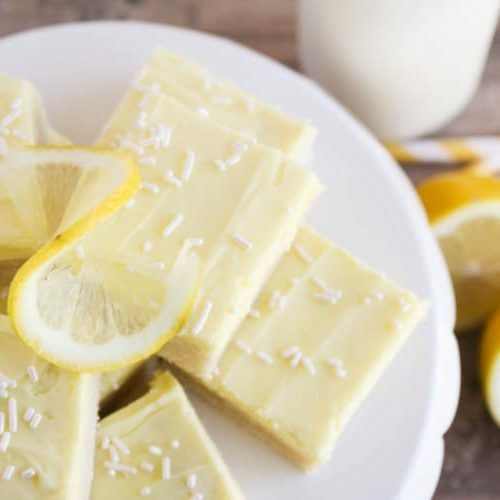 I just love lemon desserts!